Small (6 - 12 mos) - $29.99 Medium (18 - 24 mos) - $29.99 Only 3 left! Large (2T - 4T) - $29.99 X-Large (4 - 6) - $29.99 Only 1 left! I bought the costume for my 7 month old. It is really cute. Great colors, the material is very soft & it's warm. It's too bad that the head piece is way too big & heavy. It covers the eyes. My son kept taking the hood off. I returned it for a completely different costume. 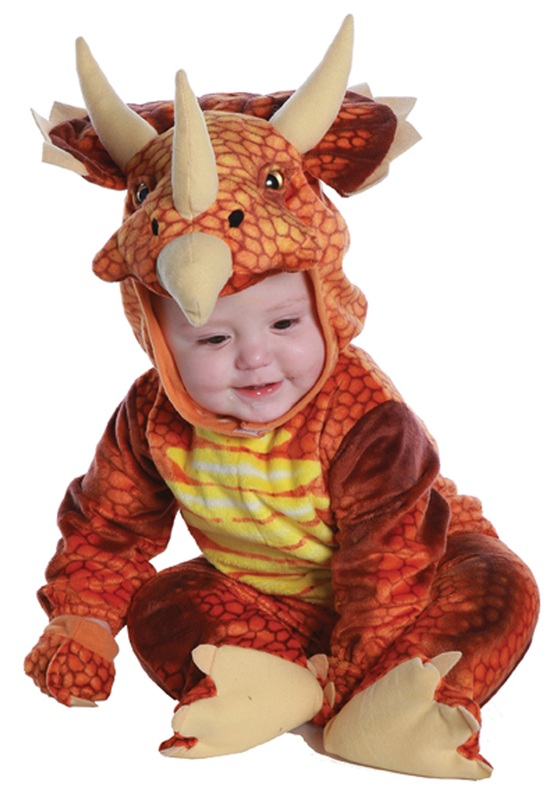 The costume is probably better for an older child. Triple the size. My sone couldnt even wear it and they were out of stock of his “real” size. We ordered a 6-12 month costume and received what was labeled 6-12 month but it was the same size as a 3T costume we ordered for our daughter. If you’re looking for something to fit a 6-12 month old, this one WILL NOT FIT. Hello Francisco, Thank you for your input. In looking at your order information, it seems that you did not reach out to us for help with any concerns you had about the sizing of the costume. We have a great exchange program, and could have sent a replacement order for the same costume in a different size, another costume of your choice, or simply refunded the order on return. For future reference, you can always contact our customer service department, as we are very customer friendly and available through phones, chat and e-mail to attempt to resolve any issues. Best Regards. 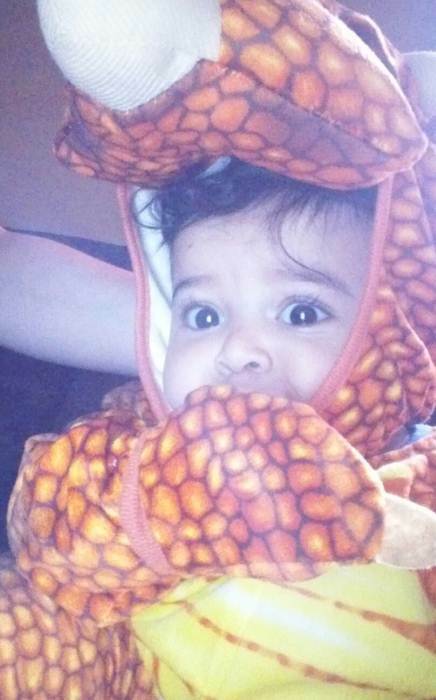 I ordered a dinosaur because my son was so happy to be one and the day before Halloween a wolf costume showed up. It was so upsetting!!! Delivered, In/At Mailbox MELVILLE, NY 11747. So, it seems that you did receive it in your mailbox on 10/25/18. For future reference, please reach out to us with any questions/concerns on an order. We attempt to resolve any issues for our valued customers. Best regards. Super cute but runs big! I bought my two sons these costumes one in orange and one in green, both are super cute but the sizing I believe is off because my 8 month old is in 6-9 month clothing so I got him a size 6-12 month and it’s hugeee it could fit my 2 year old son that’s in 2t clothing, the size 12-24 months fits more like 2t/3t in my opinion. Super cute and wonderful material! I got the smallest size and it could probably fit a 2 year old. Also, the material was kind of cheap looking.